We were delighted to attend the launch of the Merton Memories web site on 22 March. 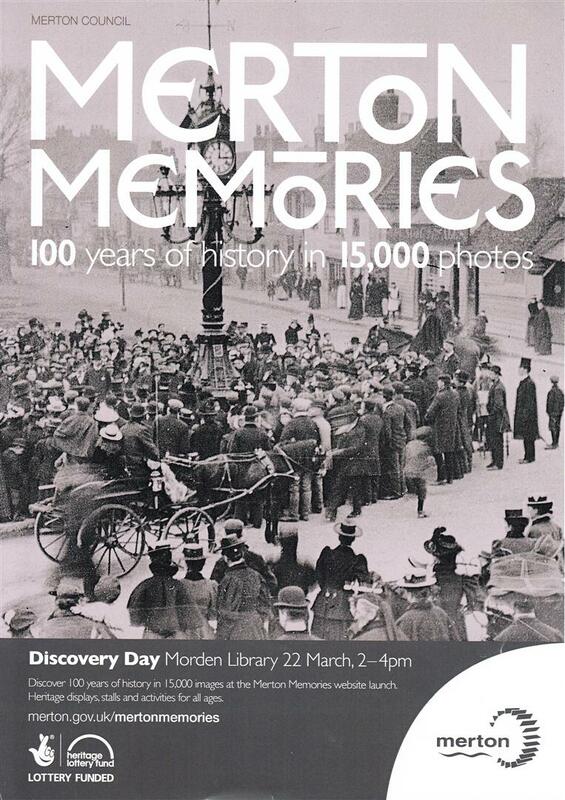 This superb initiative by Merton Council, funded by a Heritage Lottery Grant, makes 15,000 historic photos of our borough easily accessible to the general public for the first time. Merton Memories is a fantastic web site, whose production was only made possible by the hard work of volunteers and by dedicated staff in the Council’s Heritage and Local Studies Team. We thank them for their work on this project. Along with a number of other organisations with an interested in history and heritage, we have been part of the ‘stakeholder group’ advising and supporting this project since late 2012. We are happy to have played our own small part. The Merton Memories web site is at www.merton.gov.uk/memories. You can browse by subject, and view photos in large size on screen. You can even order prints. This entry was posted in Cricket Green Conservation Area and tagged heritage, historic photos, history, Merton Council, Merton Memories, photos on March 23, 2014 by mitchamcricketgreen.